Just minutes after meeting Cindian, Daisy appeared in denim on denim! I’m telling you Sundays are for ladies draped in denim in Los Angeles. Daisy is in Genetic jeans and a shirt she picked up at Goodwill. 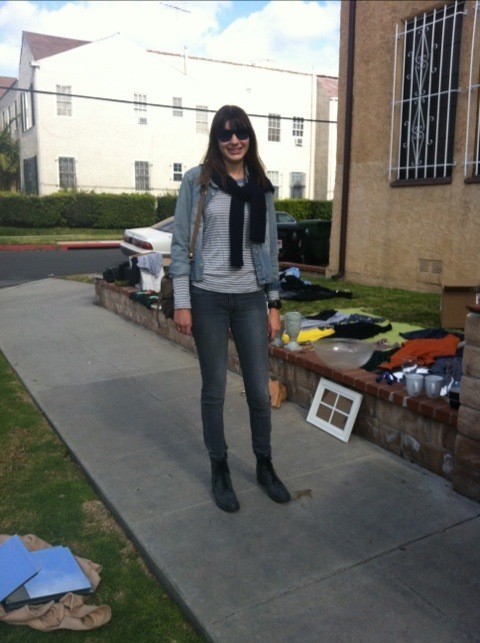 This entry was posted on Sunday, January 22nd, 2012 at 1:02 pm	and tagged with Canadian Tuxedo, Cindian, Denim, Denim on Denim, double denim, Fashion, Genetic, Goodwill, Jeans, Los Angeles, Vintage and posted in In The Wild. You can follow any responses to this entry through the RSS 2.0 feed.